These lovely opal shades are no longer around but to show the custom option of the added center downlight on a 5 arm "U" Arm Chandelier, we decided to share it anyways. 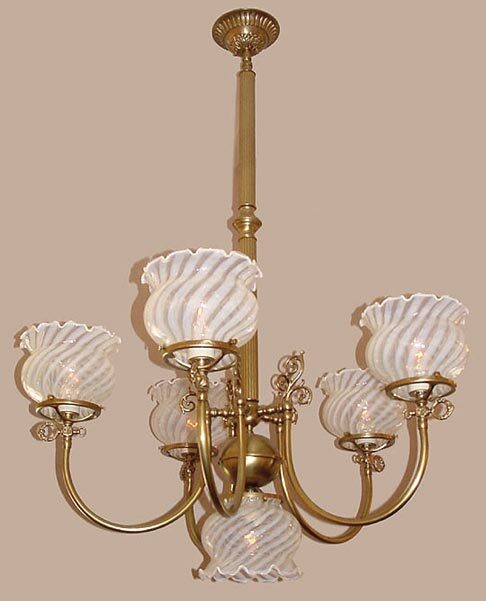 Light Antique brass with larger diameter reeded center stem and a larger stem break. A VERY Victorian gas light reproduction.